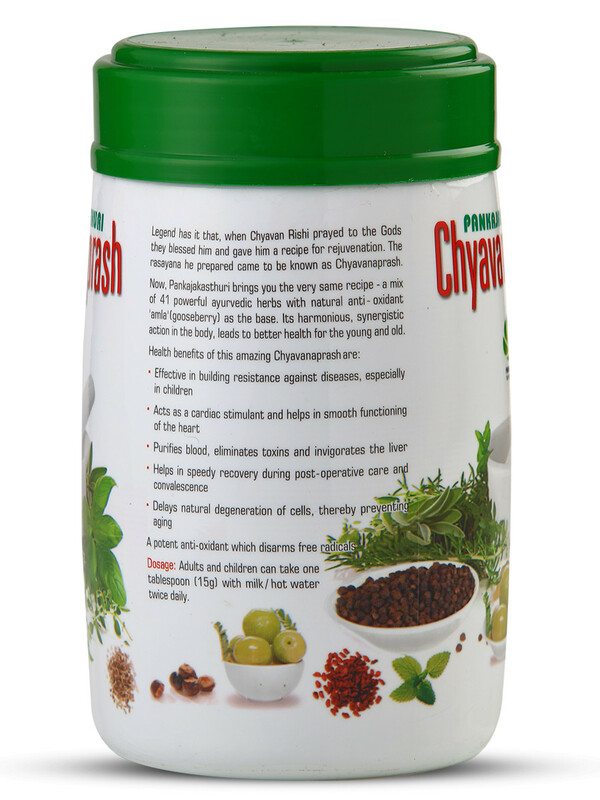 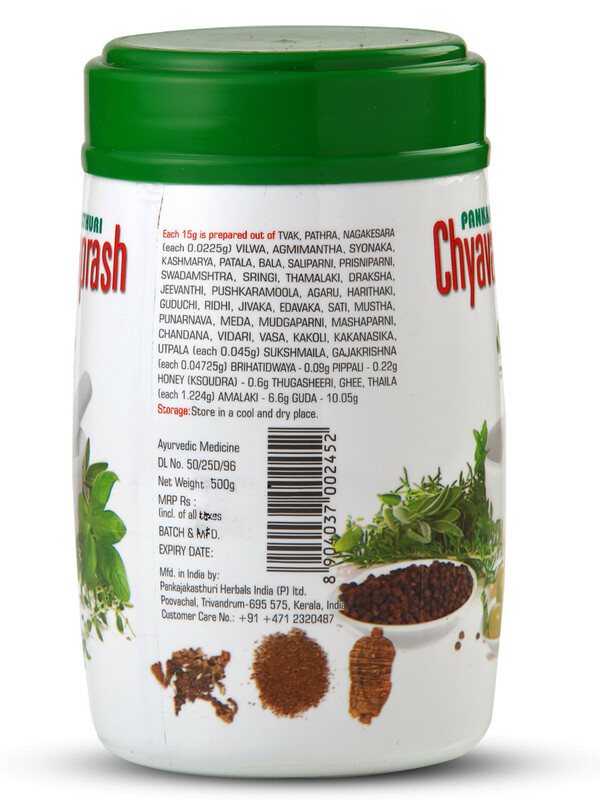 Chyavanaprash is named after the ancient saint Chyavana, who regained his youth and vitality by using this formulation. 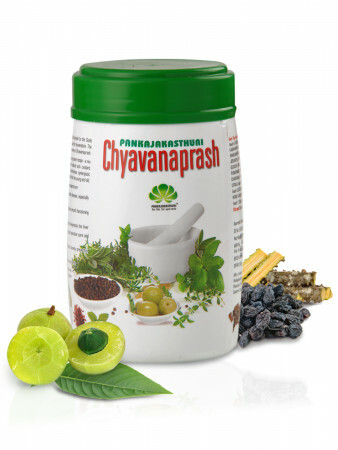 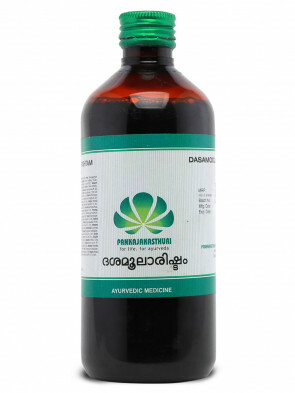 Rich in gooseberries and 40 powerful ayurvedic herbs, this is a unique formulation which imparts incomparable Rasayana properties to the body, nourishes Dhatus and prevents from diseases. Its harmonious, synergistic action in the body leads to better health for the young and old. 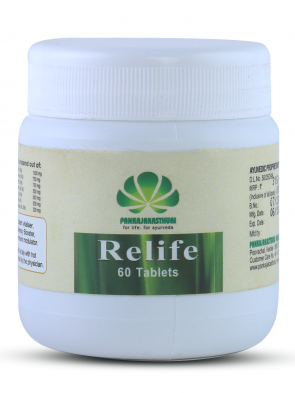 This is a geriatric tonic which is rich in Antioxidants, Vitamin C and immuno modulators. 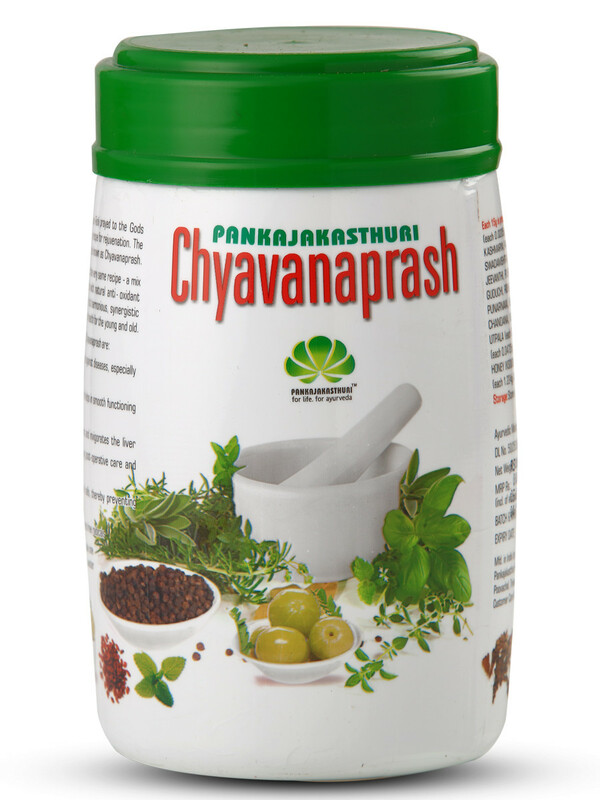 Adult: 15gm (1 tablespoon) twice daily preferably with milk or as directed by the physician. 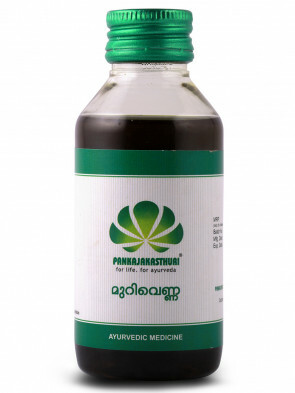 Tvak, Pathra, Nagakesara, Vilwa, Saliparni, Prisniparni, Swadamshtri, Sringi, Thamalaki, Kashmari, Bilwa, Patala, Agnimantham, Bala, Syonakam, Pippali, Draksha, Jeevanthi, Pushkaramoola, Agaru, Harithaki, Guduchi, Ridhi, Jeevaka, Edavaka, Sati, Mustha, Punarnava, Meda, Mudgaparni, Mashaparni, Chandana, Vidari, Vasa, Kakoli, Kakanasika, Utpala, Sukshmaila,Gajakrishna, Brihatidwaya, Pippali, Honey, Thugasheeri, Ghee, Thaila, Amalaki, Guda.